BRAYN Consulting is very pleased to announce that Gurleen Singh has joined BRAYN as a Director in their west coast practice. Gurleen will oversee West Coast Tax Consulting Operations, specializing in Domestic and International R&D Tax Credits & Incentives, 179D and Cost Segregation. Santa Clarita, CA, March 27, 2018 --(PR.com)-- Prior to joining BRAYN, Gurleen worked as an Associate Director providing her R&D clients with exceptional service and legal expertise for the past four years primarily in the Manufacturing, Architecture, Engineering, Construction, and Software space. When they first met Gurleen, BRAYN was excited to learn about her extensive experience in tax incentives. BRAYN is also really impressed with the fact that she prides herself on being a zealous advocate for her clients and enjoys learning about the intricacies of their business to ensure they are capturing all relevant expenses. 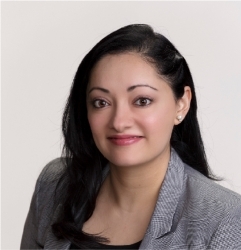 Gurleen received her undergraduate degree in Marketing and Management from Northeastern University in Boston before making her way to South Texas College of Law in Houston to pursue her Juris Doctorate. Upon graduation she worked in litigation for two years before branching out into the world of corporate tax. Gurleen loves to travel, cook and aspires to be a single malt aficionado. She is looking to adopt a dog and is open to suggestions and advice.